Leonard Cohen disappeared into the San Gabriel Mountains for six years, retreating from fame to the Mount Baldy Zen Centre, 60 kilometres east of Los Angeles. There, among the tall pines, he slept in a drafty cabin, meditating and doing chores during the long 18-hour monastery days. He wasn’t looking for God – not exactly. In one of Cohen’s last interviews, he said to David Remnick of The New Yorker, “Whether [Zen] has a spiritual aspect is debatable. It helps you endure, and it makes whining the least appropriate response to suffering. Just on that level, it’s very valuable.” Sitting in my favourite Aston Martin, the last of its kind, as traffic stalled on Interstate 210 out of Los Angeles, I tried to keep this in mind. Whining is the least appropriate response to suffering. I only had a few hours in this borrowed $239,000 V12 Vantage S to go find some Don-Draper-Gwyneth-Paltrow-Goop-style Hollywood enlightenment through the enjoyment of expensive things, and I didn’t want to waste my time in traffic. Suffering in an Aston Martin, so far as it is possible, means sharing the road with other cars, hordes of them, all going nowhere. It’s especially horrific in this particular one because it has a seven-speed manual transmission with a dog-leg first and a heavy shift. To get into second gear, you muscle the lever up and slightly to the right. You’re likely to catch fourth accidentally. Stop-and-go traffic is not what Aston Martin had in mind for this car. Truth be told, modern technology has outmoded the manual. In most cars, for most people, they’re simply not as smooth and convenient as the latest automatic gear-switchers. 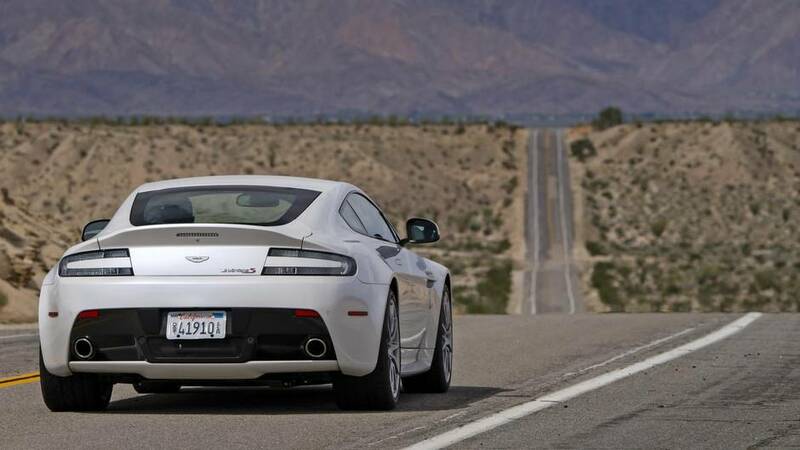 But Aston Martin invited nostalgia when it fitted a seven-speed in the V12 Vantage S for one last hurrah. It knew what it was doing. It is the only car on sale – perhaps the last one ever – that offers a stick-shift paired with a V-12 engine. This combination – the automotive equivalent of gin and tonic, steak and Bordeaux, gefilte fish with a big dollop of horseradish – was once the core of all lust-worthy supercars: the Ferrari F50, the Lamborghini Miura, Countach and Diablo. These cars are extinct and this white-and-orange Aston is the last of the old guard. Interstate 210 east from Los Angeles eventually reaches Mount Baldy road, which is as picturesque and empty as roads get in California. Google Maps says it’s an hour-long drive from my AirBnB in Echo Park Hills. It took twice that. But now we’re out of traffic and on the open road, and the V12 Vantage reminds me why it’s not just my favourite Aston Martin, but among my favourite cars. 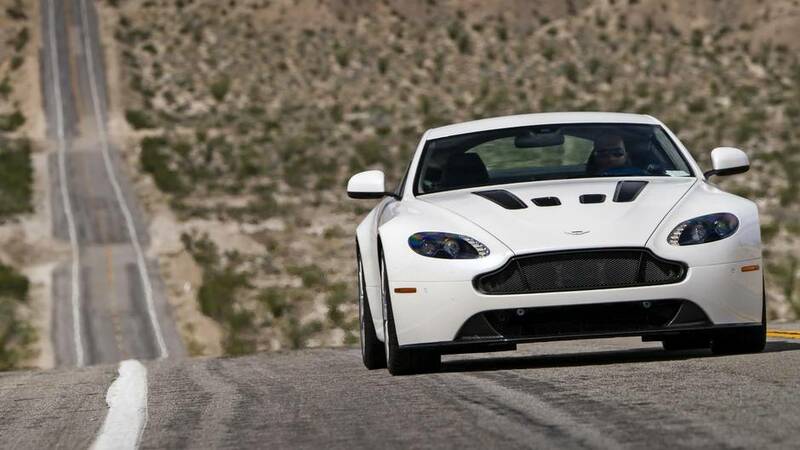 It’s not even the speed that’s special about the V12 Vantage; it’s the way it makes speed as if you’re free-falling from a great height. It starts out serene as it builds and just keeps going faster until terminal velocity, at which point the wind and engine are roaring and there’s a good chance the California Highway Patrol would arrest you on sight if they ever caught you. If there were any animals around in the San Gabriel foothills, they would have run far away by the time the Aston streaks past. It’s twitchy and heavy and not easy to drive, but it talks to you through the controls and it’s utterly engrossing. 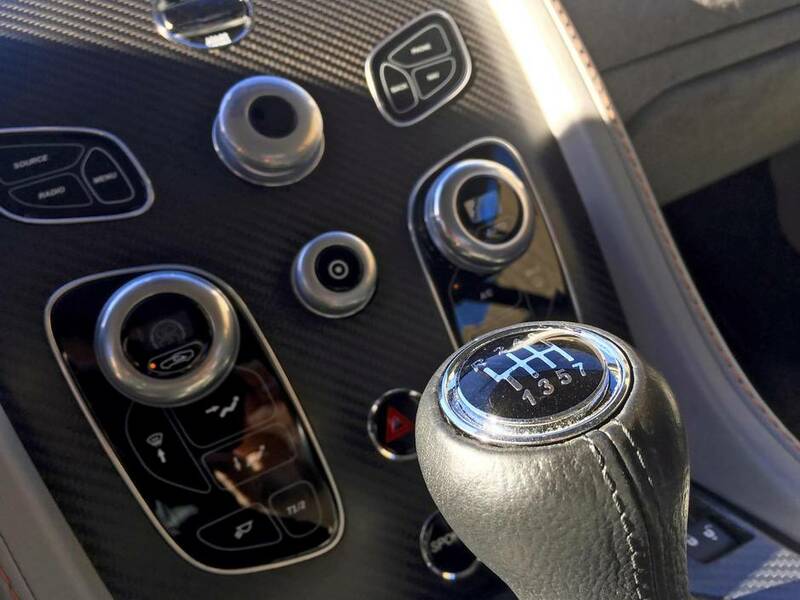 What is true of a manual gearbox in a Honda Civic is also true of one in an Aston Martin. A stick-shift forces you to pay more attention to driving, to listen to the engine and to think ahead. In a Honda Civic, that’s easy; because it’s slow, you have lots of time. 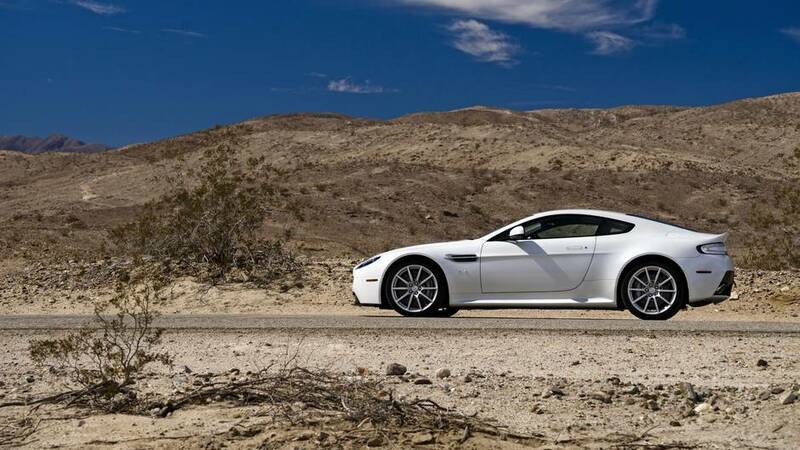 In a V12 Vantage, it’s hard, because things happen exponentially faster and therefore requires total focus. Is that not something like meditation? Cohen’s teacher was Kyozan Joshu Sasaki Roshi, the founder of the Mount Baldy Zen Centre. “How do you realize Buddha nature while driving a car?” the master would ask his students, Remnick wrote in his profile of Cohen. Surely, the answer – the way to realize Buddha nature – is not so simple. Please, let it not just be that we must go forth and drive a fast and expensive car? Be Here Now in the driver’s seat? No better place to practise mindfulness than at the wheel of a stick-shift Aston Martin. Here’s the Don Draper, Gwyneth Paltrow road to enlightenment and peace through expensive stuff. It’s so easy. So fun! On principal, I refuse to believe it. I can’t. By the time we reach the Zen Centre, it’s late in the afternoon. There’s no cellphone reception. No people are visible on the expansive mountainside campus, but the rough gravel parking lot is full of BMWs, SUVs and Prius hybrids. A three-day Zen retreat costs $150 (all figures U.S.); $450 for a week. The Daily Sutras CD featuring chanting is available for $20. I’ve got 10 minutes to look around before I head back down the mountain, back along the 210, to return the car. Traffic is bad, but the sun is shining through the front window. I didn’t find whatever Cohen found on top of this mountain, and I also didn’t want to give up the keys to this Aston Martin. Maybe I need to go back.